Many Americans overlook the importance of maintaining adequate life insurance coverage. It is common that people believe their premium amounts are much higher than they actually are. This is shown in a 2018 study by Insurance Barometer involving consumers in the United States. Responders estimated that a term life policy for a 30-year-old valued at $250,000 was three times higher than the true cost. Data shows that Arizona residents are now recognizing the importance of life insurance with currently $520 billion in coverage statewide. The decision to purchase life insurance is an important choice, particularly among those who are financially responsible for loved ones. According to the 2015 Insurance Barometer study by Life Happens and LIMRA, one of the most common misconceptions regarding life insurance is that it is too expensive to afford. In fact, despite the majority of the participants stating that they had a good understanding of life insurance, 80% overestimated the cost, with 1 in 4 believing the cost of life insurance to be upwards of a $1,000 per year or more. The reality is, the peace of mind and financial stability that life insurance provides in a time of need is priceless. The best part is that it is totally affordable too! For example, if you are a healthy 35 year old, your 20-year term life insurance plan worth $250,000 is only going to cost you approximately $23.90 per month. If you do the math, that means the amount you would put in over 20 years is $5,736. This is only 4% of the amount available in case the unthinkable happens! If that is not a good investment I do not know what is. What’s even better is that there are a wide variety of life insurance plans available to choose from. This means that if need be, you can find an even more moderate plan for as low $13 per month. Who cares if it’s “not as nice”, any life insurance plan is still countless times better than no plan. If you still don’t think you can afford life insurance or if you are unsure what the right plan is for you, an our experienced life insurance agent can help you find the best option possible. The Arizona Department of Insurance provides oversight within the life insurance market. The state statute defines life insurance as “insurance on human lives.” It involves the provision of benefits in the case of death, dismemberment or disability of an insured party. This form of insurance is part of a broader group of financial products and services called annuities. The insured pays regular premiums to the insurance company in exchange for a predefined death benefit if the insured dies. Would others experience financial hardship if I were to die suddenly? Do I have a home mortgage or other large debt? Are there concerns about paying for my child’s education? What percentage of the family income do I provide? Does my family have the money available to pay for my funeral and burial expenses? A term life insurance policy offers coverage for a certain period of time. They tend to cost less and most do not build up future cash value. A term policy only pays a death benefit if death occurs during the term. Cash value policies typically span a lifetime and may increase in value tax-deferred. A permanent (cash value) policy may be “cashed in” for income while you are alive. Generally, term policies are “renewed” after the duration of the specified time period. The new policy may have a higher premium as you age. Non-renewable policies require the buyer to apply for a new policy after expiration. Whole life and universal life insurance are both classified as cash value policies. Whole life policy premiums usually have a predetermined set payment schedule. Universal life policies have greater flexibility in the frequency of premium payments. Buyers must pay the minimum requirements to maintain either type of policy. Variable life policies invest premium funds in stocks and bonds and may accrue or lose cash value accordingly. Non-variable policies reduce the risks associated with market fluctuations by guaranteeing minimums. Non-variable policies typically do not benefit from rises in the investment market to increase value. According to the National Business Group on Health, approximately 90% of large company employers offer some variety of accidental death coverage. Many employers simply provide a set amount of life insurance to all employees at no cost. A standard employer-provided life policy is likely to pay a death benefit that is insufficient in most cases. These policies generally do not require medical underwriting or exams and will typically terminate if you are no longer employed at that company. Purchasing life insurance through an experienced agent is recommended. Some policies require the buyer to complete a questionnaire of medical questions or in some cases, have a medical examination. You will need to name a beneficiary when beginning a policy and will need their Social Security or tax identification number. As your circumstances in life change, you should reevaluate your policy with an insurance professional. No one wants to dwell on the idea of dying prematurely. Purchasing life insurance is a process that may be critical to secure the financial future of your family. The insurance professionals at the Gebhardt Insurance Group can assist you in choosing a policy that offers sufficient coverage and affordability. Contact our office today at (520) 836-3244 to receive a life insurance quote. As seniors approach and begin retirement, it’s a great time to take stock of your financial situation. Managing your money in retirement can differ from when you are employed full-time, so it makes sense to reassess your situation. Here are a few tips to get you started. Your income in retirement will likely be much lower than it was in your biggest earning years, so you’ll need to plan for that. You and your spouse should develop a written budget (if you don’t already have one), so you know exactly where your money is going. This will help control your spending and identify areas where you can save even more money. You should also make sure to plan and communicate with your partner. You might have different visions and goals for your retirement years, so it will help to take the time to get on the same page. One asset that might give you a chance to better your financial situation as a senior is your home. It’s always a good idea to be aware of home price trends in your area and how your home matches up to the trends. Homes in Tucson, Arizona, for example, have sold for an average price of $210,000 in the last month. If your home value has increased significantly, and you can get a good price for it, this may be a good chance to sell your house and pad your bank account a bit. This could give you some room to breathe, especially if your budget is tight and your home seems to be putting a strain on your finances. Downsizing will give you a smaller space to manage and create some room in your budget. Seniors are often thought of as easy marks to get their money taken away from them, so it’s vital that you and your family keep a close eye on your financial affairs. The first warning sign to watch out for is confusing double talk filled with complex ideas that neither you nor even your younger friends can understand. You should also be on the alert for excessive friendliness (calling repeatedly, for instance) and pressure to sign a document immediately, without taking the time for an appropriate review. If you don’t receive statements in the mail or unfamiliar details start surfacing, you should also check into things further. You should also put fraud safeguards in place on your accounts such as an alert for large withdrawals. As you get older, you may start to notice signs of cognitive or mental decline. If this begins to happen, you should ask your adult children to step in and help manage your finances. This will help your bills to be paid on time and will help ensure your kids know how best to help you, especially if something unexpected were to happen. Life insurance is critical for all senior citizens. Having a life insurance policy can help you protect your legacy and your loved ones. It can protect your family from ongoing and immediate financial needs, funeral expenses, medical bills, and other debts, such as mortgage. Whether you’re preparing for retirement or are already retired, it’s never too late to consider purchasing a life insurance policy or expanding your existing coverage. Your senior years are a fantastic time to enjoy life and the fruits of your labors for so many years. Following the tips above to manage your money will help you to make the most of what you have. Enjoying retirement doesn’t have to be just a dream; it can be a reality for you. For many years, speeding has been proven to be a leading factor in traffic deaths throughout the world. According to statistics from the department of transportation, one-third of all traffic deaths in the United States have been affected by speeding. The effects of traffic deaths also go beyond the loss of life and grieving by the family. Studies have shown that countries can lose 3-5 percent of their GDP due to car accident deaths through insurance claims, loss of work, and other financial factors. Speeding is a cause of death that can be easily solved without any new technology or cure, yet it still happens on a regular basis. So why is speeding such a major factor in accidents and deaths on the road, compared to any number of other factors? Speeding while driving provides a higher risk of causing an accident for a wide variety of reasons. Drivers who speed have less time to react to changing conditions, such as changes in road quality, weather, or other driver’s movements on the road. Speeding makes for worse accidents when they happen due to the faster velocity of the impact. Its effects can also be multiplied by distracted driving or tired driving. Fortunately for drivers, steps have been taken by many countries around the world to curb the danger created by speeding drivers. Most nations have implemented reduced speed zones in areas near schools and on narrow roadways. Speed bumps and speed tables have been added to areas where speeding has been known to be an issue. Higher fines have been put in place for speeding in sensitive areas such as construction zones and school zones to keep pedestrians safe. All of these factors further incentivize drivers to drive slower and drive more carefully. In a world where others are speeding, what can someone due to keeping themselves safe from the danger? There are many actions a common driver can take in order to protect themselves on the road. The obvious first step is to not speed yourself. While others may choose to speed on the road, you do not have to speed with them. When you drive the speed limit, you bring a bit more safety to everyone on the road. Driving defensively and having the right auto insurance is the best way to go. Avoid common distractions such as using your cell phone or constantly changing the radio settings while driving. Be mindful of other drivers, where they are around you, and their speed in relation to your own. Practice the 3-4 second rule, which states that you should stay at least 3 to 4 seconds behind the vehicle in front of you, and no closer than that. There are many aspects to defensive driving that can keep you much safer on the road, no matter how anyone else drives around you. Also be sure to take care of your vehicle in terms of maintenance. While this may not seem to relate directly to speeding drivers, it is good practice to regularly maintain your car so nothing goes wrong with it while you drive. If you ignore issues like weak brakes or a bad engine, you could find yourself causing a hazard on the road, making it all that much more likely that you can cause an accident. Combine this with speeding drivers trying to avoid you as your car breaks down, and your chances of an accident are multiplied greatly. Always be sure you take care of your vehicle maintenance. Despite all of these facts on the dangers of speeding, things are improving. In 2003, the United States saw approximately 13,000 deaths related to speeding. By 2012, that number had reduced to approximately 10,000. Awareness of speeding as a cause of death is growing, as more Driver’s Education classes emphasize the dangers, as well as the driving tests. Car manufacturers also have upgraded the quality and number of airbags in their newest vehicles, and are now building vehicle frames and windows with stronger materials. The best way to keep yourself safer on the road is to simply not speed yourself. Plan to leave earlier for your destination so you don’t need to hurry. Anticipate the traffic you will be in and drive accordingly. Every step you take to change your own driving habits keeps you just a bit safer no matter what the other drivers may be doing. If these aren’t good enough reasons, save yourself the cost of the accident, the loss of fuel economy, and the price of a speeding ticket, too. You may have heard of defensive driving, but what is it? Defensive driving is all about doing what you can to limit your risk of accidents while driving. Paying attention to the road, being mindful of other drivers, and maintaining your vehicle are all essential to having a safe trip. No matter your age, it’s always a good idea to brush up on your defensive driving techniques. Here are a few good tips to keep in mind for the next time you hit the road. The 3-4 second rule says that you should always stay at least 3 to 4 seconds behind the driver in front of you. Some say it is good practice to drive behind other at least 1 second per 10 miles per hour. So if you drive at 60 miles per hour on the highway, you should have at least 6 seconds worth of buffer between you and the next car. This rule makes it safer for you in the event that you need to stop quickly. You never know when the driver in front of you may hit their brakes, and you need to be ready. The more time you have to react, the better for everyone. There are plenty of things vying for your attention all day, and the distractions don’t stop while driving. Music from the radio, a ringing cell phone and billboards on the road are just a few things that could pull your attention from the road. When your focus is off of your driving, you run a higher risk of accidents. It is best practice to not use your cell phone in any way while driving (in fact, it’s illegal in many areas). Set your radio before starting to drive and leave it alone, or adjust it from the wheel. Don’t try to read every sign and billboard you pass by if it’s going to take your eyes off the road. Always remember the most important part of driving is the driving part. With all of these distractions, it can be easy to forget to keep track of things around you. How many cars are near you? Are they slowing down? Is there a construction zone up ahead? Know what’s going on so you can react quickly and efficiently. Conditions are constantly changing due to vehicles, weather, and quality of the road itself. The more you know about your immediate surroundings, the better. More specifically than being aware of your surroundings, be mindful of the other drivers. Some drivers will switch lanes suddenly without using a signal. Others will speed up or slow down just as quickly. Others could sway in their lane and come to close. Just because you are driving defensively does not mean they are, too. Even when you are surrounded by good drivers, something unexpected can happen. Car issues can arise for the other drivers and you will have no idea why they cut you off. If you are driving safely, you will have time to react to these kinds of problems. In addition to distracted drivers, changing road conditions can cause problems, too. The road can become very slick when it begins to rain. Heavy downpours can start suddenly. Even leaves in the autumn can cause tons of issues on the road. Beyond this, you can find yourself in a construction zone, in a neighborhood with tight roads, or at an intersection with a broken traffic light. Car conditions can also lead to problems. Be sure to keep up with car safety maintenance so as to not break down. If your tires are not properly inflated, you could have a hard time controlling the vehicle. If you haven’t had an oil change in a long time, your engine could stall. If your brakes are old, you could lose the ability to stop quickly. Taking care of your car maintenance is an essential aspect of defensive driving. It may seem obvious, but following the law is a good idea when driving. Speed limits are there to keep drivers safe from moving too quickly in areas where they may need to have time to react and slow down. Driving drunk will obviously make it harder to stay focused. Driving without insurance is also against the law for your own good, as the cost of car repairs and injuries can be overwhelming. Always follow the laws of the road, even the ones that don’t directly affect your driving and last but not the least don’t drive without insurance. For best insurance rates call us and we will determine what’s best for you. We all know our own abilities and limitations behind the wheel and we should always act accordingly. Know when you are too tired to drive. Know how much music you can handle while driving. Know what types of roads you are confident with driving. In addition to these, be sure to use your turn signals whenever you change lanes or make a turn. While traveling through a green light, take a quick look to ensure no one else is ignoring their red light. Generally, you should have an awareness of what’s going on within a 50-foot radius around your vehicle at all times. A lot goes into defensive driving, but every bit is well worth it. You’ll have fewer accidents (major or minor), lower car insurance rates, and lower car repair bills. Most of all, you’ll be able to enjoy your vehicle for years to come. Christmas time is here again. It’s the time of sharing and giving. And yes, time to think of a great gift for a friend or a loved one. Finding something special for someone can be stressful. Aside from the fact that it is difficult to really find the right gift for someone, there’s the Christmas rush to worry about. It is hard to brave through the crowd of shoppers at this time of the year. This year, why not give something different than the usual? Instead of buying the usual gift like clothes, decors, utensils and such, why not give something more useful and practical? Times are hard and people would appreciate receiving something that they can really benefit from. For this reason, life insurance would really make a great Christmas gift. It may not be your so-called “traditional” gift, but it’s definitely a gift worth giving. Christmas is a time for joy and happiness. It should be anything but stressful. It’s not, however, the case, especially when you go the store or a mall to buy some presents. The hustle and bustle of the season can sometimes just be too much. And the lines can go on forever. If you give life insurance as a gift, you get to avoid all these! You don’t need to line up, or wait for hours, or brave through the crowd just to buy a present. You can sit comfortably in your home and call an agent. It’s as easy as that. You won’t go wrong if you give life insurance as a gift. At least, you won’t have to worry what to get to your loved one or friend. It may not be something that everyone expects to receive as a gift, but at least it’s unique and practical, something that anyone will surely love and appreciate. Life insurance does not only benefit the recipient, but also the recipient’s family. In that regard, insurance is the kind of gift that is really for the whole family. This is something that everyone will benefit for the rest of his/her life. It also helps protect his/her family in case the inevitable happens without a warning. It’s that practical. This is true. In fact, the average monthly insurance cost is only as low as your Netflix subscription. The rates will still vary, of course, depending on several factors and on the amount of your coverage. The point is that it isn’t that expensive as it sounds. College is expensive. If your recipient has children, then a life insurance will help him prepare for that, especially if the worst happens. Having a life insurance allows the person to prepare for the worst and to help their loved ones have a better life even if they are no longer around. And by giving insurance as a gift, you’re little help will go a long way. Again, back to the question, this year why not give something different than the usual? Life insurance is not just a unique gift, but a practical one as well. Put a new meaning into the holiday spirit. Help your friend or loved one prepare for unforeseen financial hardship in case something bad happens. It’s always better to be prepared. In case you decide to give life insurance as a gift this holiday season, make sure that you approach a professional who is reliable, knowledgeable and experienced. Make an appointment with Gebhardt Insurance. Life insurance can be used to protect your loved ones from a sudden loss of financial support. It can certainly bridge the financial gap and help your loved ones get back to their feet after your loss. The proceeds of life insurance can be used to cover immediate expenses. These may include unpaid medical and hospital bills, funeral expenses, mortgage payments, meeting business commitments, even meeting college expenses for the children. In addition, life insurance helps maintain the family’s standard of living during such a difficult time. It lets a person leave an inheritance. Moreover, life insurance can improve one’s credit rating. Life insurance in itself is a financial asset and may then help increase your credit score. There are three basic types of life insurance- term life insurance, whole life insurance and universal life insurance. The first of these three is term life insurance. This is also known as “pure” life insurance. This policy pays out the death benefit if the named person dies within the defined term. The most common terms are 10, 20 and 30 years. If the named person dies after the term expires, then there will be no payout. This type of life insurance is typically the least expensive way to purchase a substantial amount of death benefit per premium dollar basis over a specified period of time. It meets coverage needs up to thirty years. The disadvantages of this type of life insurance though include having no savings feature and having no lifetime coverage. Also, if the term of your policy is about to expire and you need to renew your policy, you might be shocked at how high your premium has increased, especially if your health has declined. It may even be possible that you will not be able to renew the policy because you no longer find it affordable. Hence, experts suggest that on deciding the terms of your insurance, you have to consider the term length. Term life insurance policies also have maximum age issues. Experts say if you’re past the age of eighty, it will be very difficult for you to get term life insurance. There are two kinds of term insurance. There’s the “annual renewable term”. This has a term of one year (coverage), which you can renew annually. This has the lowest annual premium, but the amount of premium may increase as you age. Hence, if your goal is to keep your initial costs down but you believe your earnings will increase significantly in the future, it is best to have this kind of policy. There’s also the “level premium term” which you can buy for a specific multi-year period- 5, 10, 20 or 30 years. This kind of policy allows you to lock the amount of premium for a given multi-year period. Hence, this can be a smart way to insulate you from increasing amount of premium. How much will it cost you? Well, the amount of premium that you will pay will depend on several factors- your age, health and the amount of your death benefit. Obviously, the younger and healthier you are, the lower is your life insurance premium. In the US, the most popular option for a term life insurance is a 20-year policy, worth $250,000. The average annual life insurance cost of this policy for a 25-year-old non-smoker is $331. This will increase to $433 if the age increases to 40 and will increase to $2,495 for a 60-year-old. The amount of premium will be doubled to tripled if the person insured is a smoker. How big should your life insurance be? As a rule of thumb, your death benefit should be equal to seven to ten times of your annual salary. You can actually determine it in another manner. First, determine the amount of income you wish to provide your heirs and beneficiaries after you die. From this amount, deduct all other income sources that they will be able to tap- retirement accounts, pensions, social security, etc. For the remaining gap, this is the amount that you will fill with life insurance. The second type of life insurance is whole life insurance. This has no predefined term, provides death benefit over the “whole” life of the insured as long as premiums are paid. Further, it accumulates cash value which the insured can withdraw or borrow against during their lifetime. Its disadvantages, though, include inflexible premiums and a considerably lower rate of return than other investments. Finally, the third type is universal life insurance. This policy has a cash value that is determined by short-term interest rates rather than the stated long-term interest rate of a whole life policy. Premium payments in excess of the cost of the policy are added to the policy holder’s interest bearing account. The disadvantages of this policy include decreased death benefit or increase in premium if interest rates decline. Why Is Whole Life Insurance Considered a Good Investment? At first glance, insurance seems like a straightforward and simple concept that is easy to understand. But permanent life insurance policies and determining which life insurance is best, term or whole, contain investment components that can cause much confusion. For a whole life insurance policy, some of the money you pay as premiums accumulate cash value. This takes the form of a tax-sheltered investment account, which the policyholder may borrow against or withdraw from. This is a clever way of hitting two birds with one stone—insuring a specific contingency while at the same time providing a legacy for your heirs through said investment tool. Having an investment component, whole life insurance provides policyholders the ability to accumulate wealth while paying for the premiums that cover the insurance cost. These premium payments also contribute to equity growth in a specific savings account. Moreover, as indicated by its name, this type of insurance is intended to protect an individual for his or her entire life. The use of whole life insurance depends on the specific needs and requirements of an individual. In fact, it is a well-settled principle that different insurance policies fit different people. If you want to provide dependent family members with sufficient funding upon your death, then whole life insurance would be proper. It is also used by individuals if there is a need to liquidate business debts and mortgages, as well as to leave heirs money to settle outstanding obligations. A whole life insurance policy also provides quick cash and much-needed liquidity to heirs and surviving family members that are dependent on you for support and sustenance. 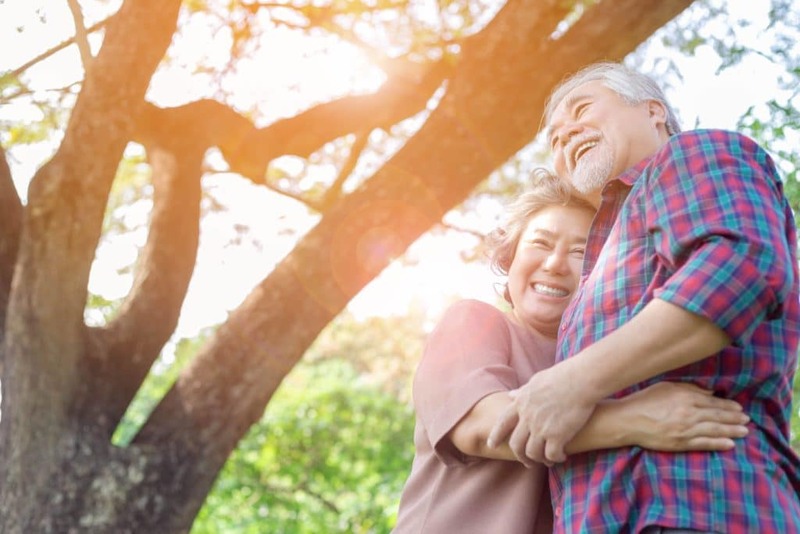 Part of its intention to pay out a lump sum to you loved ones when you die, a whole life insurance policy sounds a greatly beneficial insurance policy. But only a small minority of people take out whole life insurance policies as opposed to the vast number of individuals who purchase term insurance instead. The difference between whole insurance and term insurance is that the latter runs for a specified period. With term insurance, the insured will have to set the term of the policy, with a term depending on the quotation received from the insurer. If you pass away within the term, a tax-free cash lump sum payment will be made in favor of your heirs and surviving family members. However, should you die beyond that specified term, the term insurance plan loses its cash-in value. On the other hand, whole life insurance is designed to last as long as you do. Your death need not take place in a specified term and should it take place, your loved ones will be entitled to receive a lump sum amount. Simply put, whole life insurance does not expire or go down in value. Another benefit of a whole life insurance is its permanence. Once the insurance has been issued, it can no longer be revoked, reduced or canceled except only in cases of non-payment or fraud. This particular feature provides whole life insurance a certain degree of certainty which is attractive to the policyholder. Which Life Insurance Is Best—Term or Whole? The answer to which life insurance is best, term or whole, depends on a number of factors. 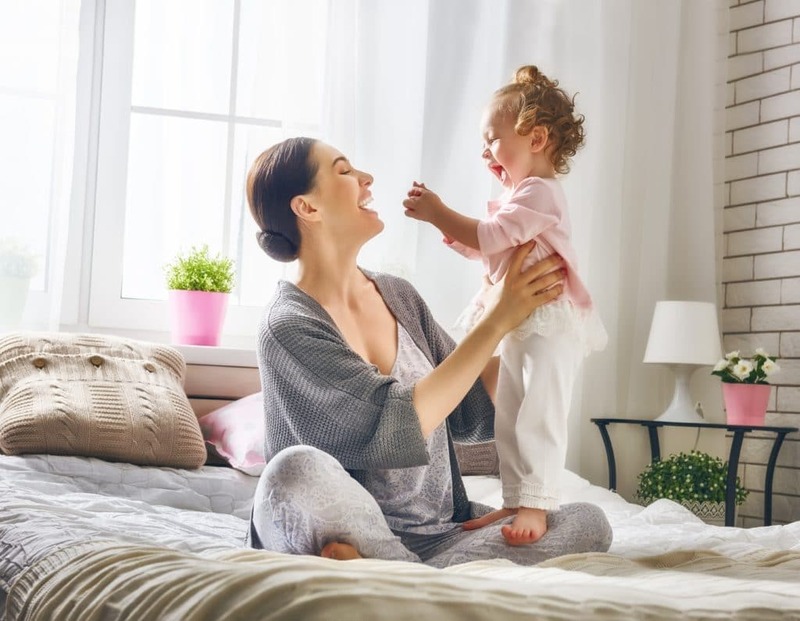 As already mentioned above, the cost for whole life insurance can be six or eight times more than term life insurance, which could affect decisions of insurance buyers, especially with those having intense bottom-line concerns. While cost is crucial in making important decisions such as buying insurance policies, it should not be a sole concern in an all-or-nothing scenario. You should strike a balance between the needed security and benefits as compared to the total premium payments needed. In fact, some personal budget issues have resulted in many discontinuing their life insurance policies or allowing them to lapse or expire. However, one should bear in mind that the benefits of whole life insurance are only benefits as long as you keep the policy. When the circumstances are right, the benefits of whole life insurance outweigh the cost incurred. Another beneficial feature of whole life insurance is its cash value, which the insured can borrow from while still alive. This cash value accumulates at a tax advantage, as your money withdrawn is not being taxed as long as the total withdrawal does not exceed the paid-up amount. Another tax advantage is the payment of dividends to the insured with regard to the insurance component of said insurance policy. Normally, dividends are taxable against the shareholders as their gain from their stock investments. But the IRS treats the dividends being paid out to the insured as return of premium instead of gain. Hence, these dividends are not taxable.